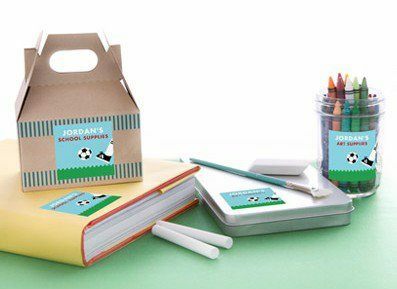 Tiny Prints has a great selection of items that are perfect for back-to-school shopping, including personalized notebooks, lunch box notes, teacher stationery, mom contact cards and so much more! My 11 year old son doesn't really care but my 8 year old daughter LOVES going through all her new school clothes and picking out which outfit to wear on the very first day of school. Of course, she usually changes her mind several times because she has so many favorites! I think the hardest thing about preparing to go back to school is getting back into the routine of an earlier bedtime. During the summer months it's lighter longer, hotter and too exciting to go to be at 8:00 pm like during the school year. We usually begin this process about three weeks before school starts. 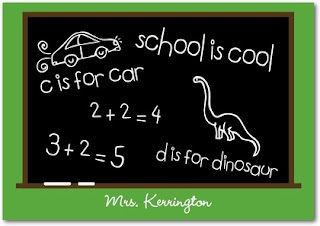 How do you and your kids prepare for back to school? This giveaway will end September 7th at Midnight EST. Disclaimer: I received a complimentary gift card/promo code from Tiny Prints for the purpose of writing a review and hosting a giveaway. Regardless, I only recommend products or services I use personally and/or believe will be a good fit for my readers. The views and opinions expressed on this blog are purely my own. Results may vary. No monetary compensation was received. Allergy Cards are a great idea! I love the lunch box note cards! I like the Candy Lace Monthly Notebook. I really like the Petal Motif Weekly Life Planner. It's so pretty and would really help me get organized! i like to get the mommy contact cards and some labels. I like the Clearly Stylish Notebook. or the adult Thank you cards! Awesome giveaway.